Let’s get a clearer understanding with screenshots. 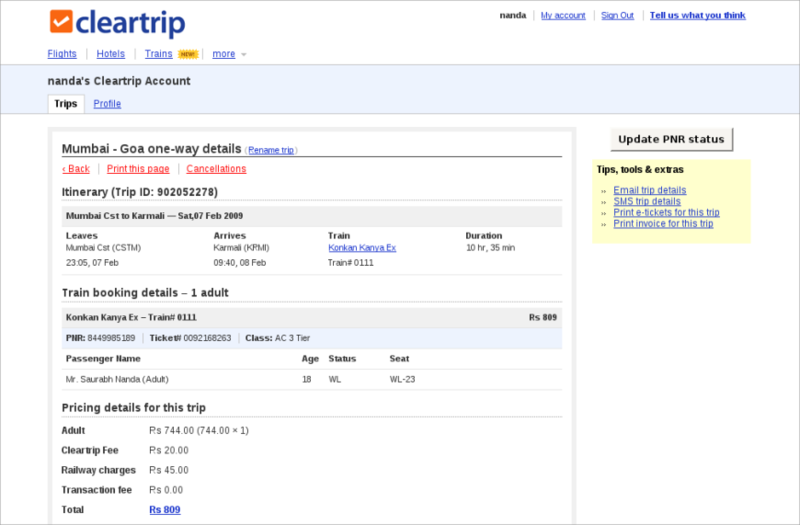 Signin to your Cleartrip Account using the email address you used while booking with us. We don’t have the concept of “guest bookings”". 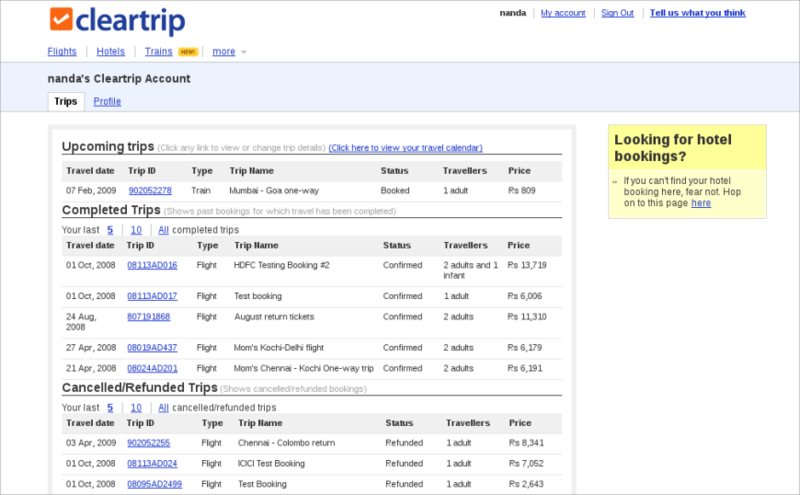 If you’ve booked with us, you have a Cleartrip Account. Don’t remember your password? Retrieve it with the forgot password feature. In the “Upcoming Trips” section, select the trip you want to cancel by clicking its Trip ID. On the trip details page, click the “Cancellations” link that appears in red. 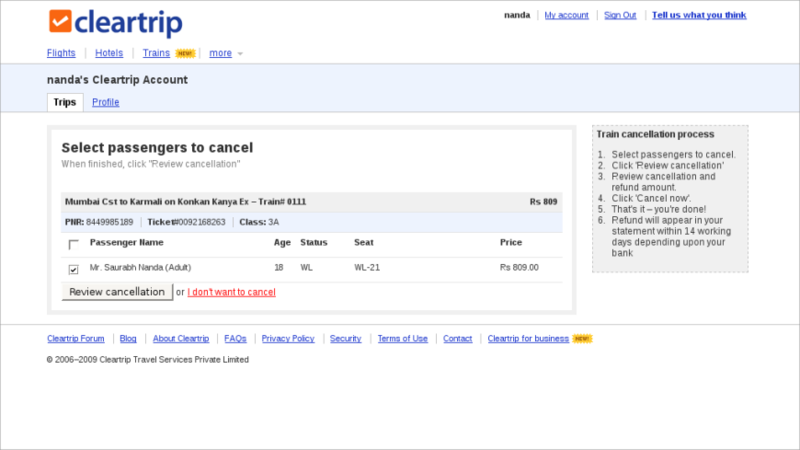 Now, select the passengers you wish to cancel the booking for, and hit the “Review Cancellation” button at the bottom. On the next screen, run through the passengers selected to cancel the booking for and the refund amount. Although the refund amount reflected here is accurate in most cases, don’t panic if it isn’t. This is just an automatic computation based on the fare rules and restrictions provided by IRCTC and the Indian Railways, and the computation can go wrong sometimes. We’ll make sure you’re refunded the exact amount you’re entitled to. 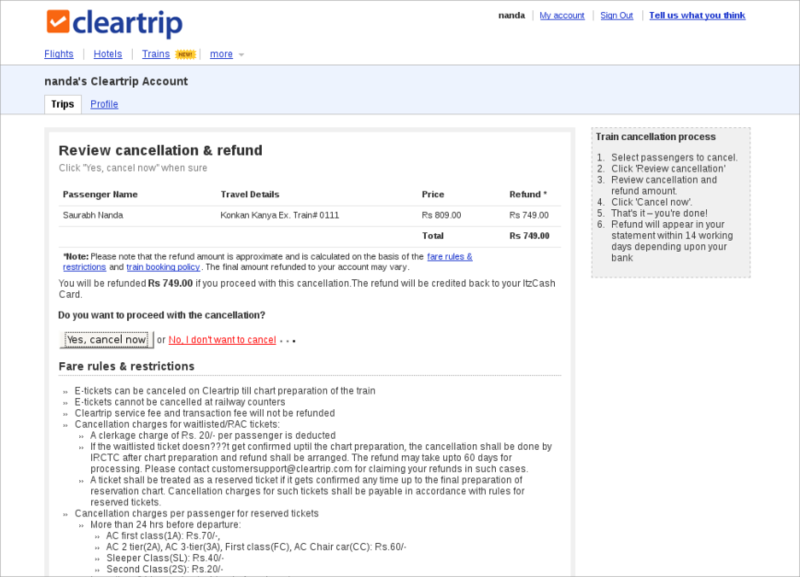 There are no additional cancellation charges levied by Cleartrip for cancelling train bookings. Once you’re sure everything is in order, hit “Yes, cancel now” to immediately cancel the booking(s) for the selected passenger(s). Your refund status will be shown on the next screen. 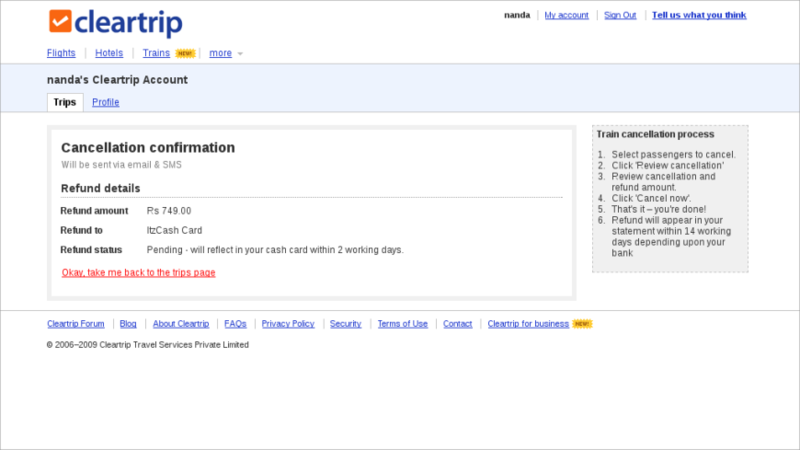 Refunds are processed from our end within 24 hours of cancellation. However, depending upon your mode of payment and your bank, it may take anywhere from 3 to 14 working days to show up on your account statement.